I was looking at our local sunset and it made me think of the color fields and subtle textures that nature produces and are so striking. I looked for color patterns from around the world and combined different palettes I saw in the images to create these two Sunrises. 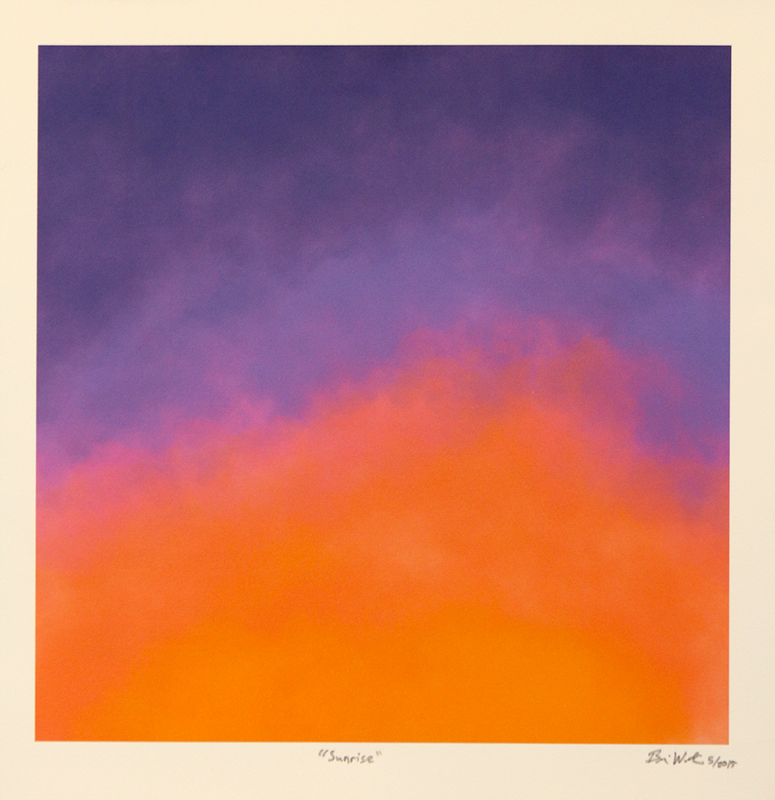 The first "Sunrise" is a calming but vibrant orange/yellow to violet/purple mix of subtle texture and gradients. 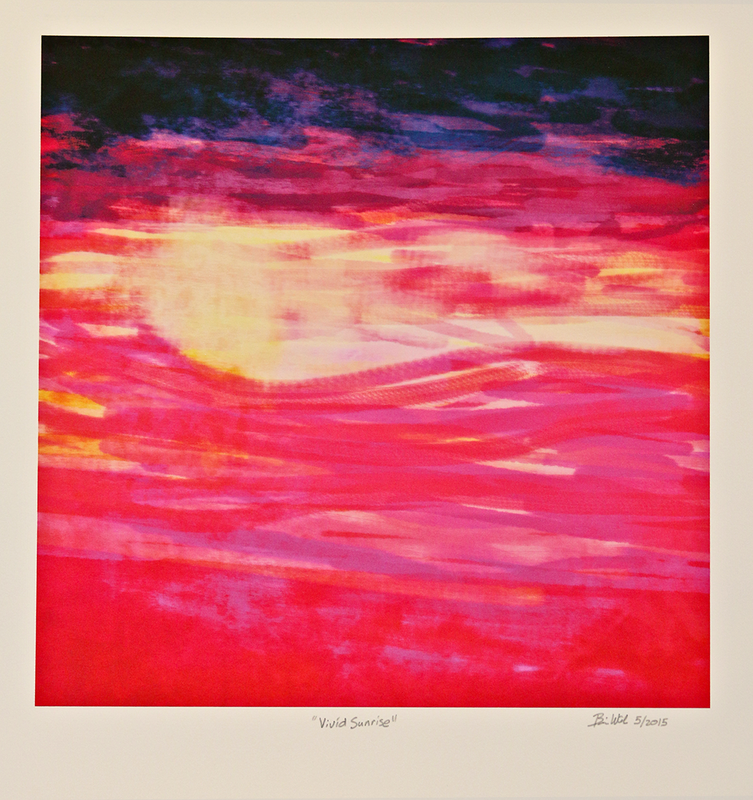 The second, "Vibrant Sunset" is a more turbulent and vivid sunrise with fuchsia, violet, golden yellow and purple tones and a more distinct texture to the sunrise. Both bring to mind the beauty of nature. I wanted to extract and abstract the essence of the emotional response to viewing this beautiful and potentially turbulent phenomen.